SALT LAKE CITY July 5, 2017 – Attorney General Sean Reyes announces that Chief Federal Deputy and General Counsel Parker Douglas has been named the 2017-2018 Fellow assigned to the Supreme Court of the United States, where he will serve in the Office of the Counselor to the Chief Justice. “We congratulate Parker Douglas on this amazing opportunity to serve as a Fellow at the United States Supreme Court. It is a highly competitive process to be even considered for such a position and only the truly brightest and best of the legal community are accepted. Due to his past Ph.D. work in academia, his Supreme Court experience as a lawyer and the many successful cases he has litigated around the country, Parker has been chosen for this prestigious role. It is quite an honor for Utah to be represented at the High Court with someone in that role. “From the very beginning of my administration, Parker has been an invaluable member of our executive team. He has demonstrated tremendous skill, creativity, and success in litigating seminal cases for our office. All the while, he has exhibited compassion for citizens, a love for the law and a deep commitment to public service. Before he came to our office, Parker was a Federal Public Defender who handled high-profile matters like the Elizabeth Smart case, wherein he defended her abductor Brian David Mitchell. The Supreme Court Fellows Program offers mid-career professionals, recent law school graduates, and doctoral degree holders from the law and political science fields an opportunity to broaden their understanding of the judicial system through exposure to federal court administration. 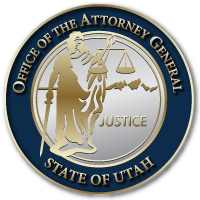 Douglas’ last day with the Utah Attorney General’s Office was June 30, 2017. This entry was posted in Recent Posts and tagged Parker Douglas on July 6, 2017 .